The 2019 General Election is being held in seven phases from April 11 to May 19, 2019, to constitute the 17th Lok Sabha. The counting of votes will be conducted on May 23, 2019, and on the same day, the results will be declared. 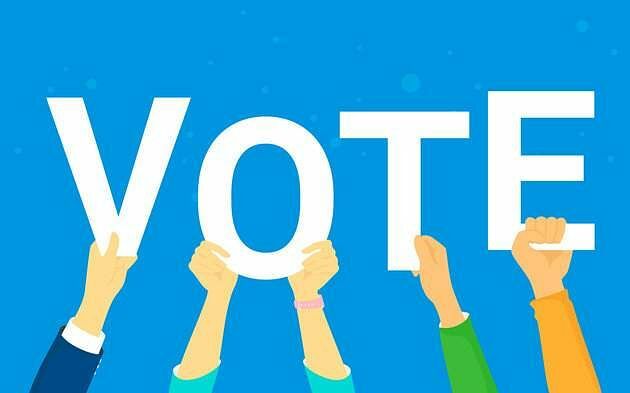 Here's all the necessary information you need to know starting from who is eligible to vote, how to vote on an EVM, to what documents you need when you are a first-time voter. Electors Photo Identity Card (EPIC) or one of the eleven specified photo identity documents, essential for casting vote. Passport, Driving License, Service Identity Cards with photograph issued to employees by Central/State Govt./PSUs/Public Limited Companies, Passbooks with photograph issued by Bank/Post Office, PAN Card, Smart Card issued by RGI under NPR, MNREGA Job Card, Health Insurance Smart Card issued under the scheme of Ministry of Labour, Pension document with photograph, Official identity cards issued to MPs/MLAs/MLCs, and Aadhaar Card. The None of the Above (NOTA) option enables the voter to not vote for any of the candidates contesting the elections. As NOTA does not guarantee the dismissal of a winning candidate, it is only a method to give a negative feedback. What happens if the maximum is NOTA? EC official said the NOTA option would not impact the results of the elections. "The NOTA option on EVMs has no electoral value. Even if the maximum number of votes cast is for NOTA, the candidate getting the most of the remaining votes would be declared winner,"
It deals with the Tendered votes. When a voter finds that his vote has already been cast by someone, he is entitled to cast a tender vote. Those voters who prove that they are the real voters and have been subject to administrative error in compilation of voter list, or in marking on these lists of persons who has already voted, are entitled to cast tender votes under the provision of Sec. 49 p of The Conduct Of Election Rules,1961. How does an EVM work? When did we go from ballot to EVM? The first official election to be completely conducted through EVMs was the 2004 Lok Sabha elections. How to vote on an EVM? After the balloting unit is activated, the voter is led into the voting enclosure where he/she votes by pressing a blue button next to the name of the candidate and the symbol of the party. This simple pressing of a button records their vote in the EVM. When did the practice of ink stains begin? The ink was first used during India's third General Elections in 1962. Do you have the preference of finger? A voter with a missing left-hand forefinger, the prescribed one for inking, can be marked on any finger, thumb on the left hand. For a person without fingers or thumb on the left hand, the ink is to be applied to his right-hand forefinger. In the case of voters with no fingers or thumb on either hand, the ink marks must be applied on any extremity or stump of his left or right hand as he possesses. For all others, if the left index finger already carries the ink mark from a recent poll, fresh marking is to be put on the left hand's middle finger. Where you can get information about candidates? In case someone is coercing you, what can you do? The fastest way to lodge your grievance is by visiting the online portal of Election Commission of India. No individual can be detained or prevented from voting unless they fulfill the criteria for disqualification.